SY ‘Poseidon’ is a sleek Farr designed CM60 and whilst she is light displacement, being only 14 tonnes for a 60 footer, she draws a whopping 4 metres. 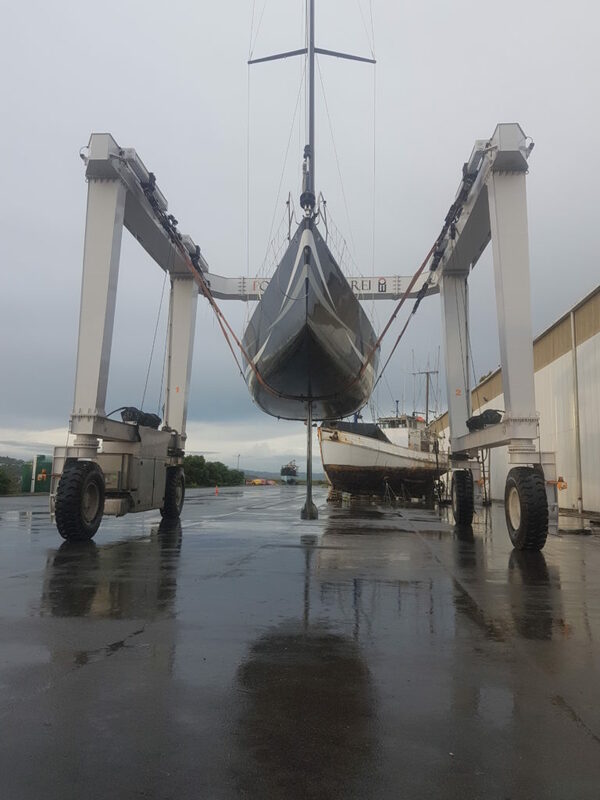 She also cannot rest on her keel when on the hardstand but the owners had shipped her purpose built cradle to the Port Whangarei Marine Centre, in New Zealand, to accommodate her. Utilising the shortest strops the 100T travel lift made the lift with plenty of clearance under the keel and without taking down any mast stays. This has been the deepest draft vessel that has been handled to date at the Marine Centre and underlines the flexibility of the machine. ‘Poseidon’ will have its rig removed and placed in the Marine Centre’s premier refit/paint shed, Bay 3, to have a full hull repaint. 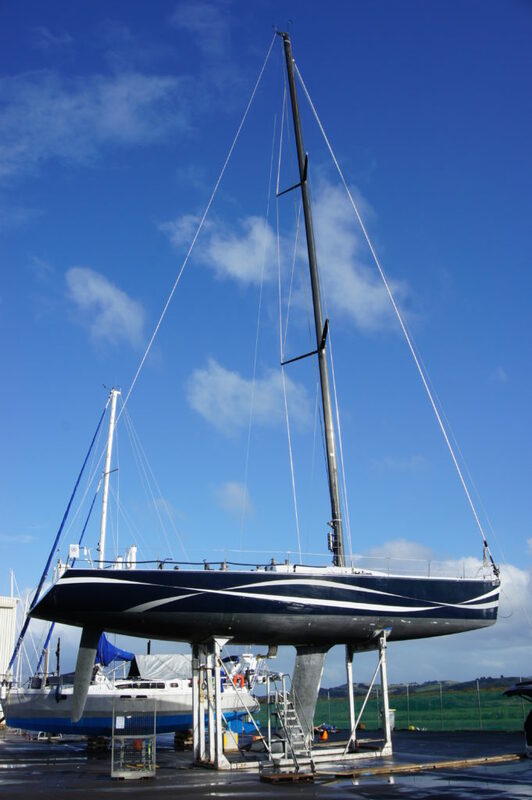 This and other works will be undertaken by Oceania Marine’s specialist superyacht teams. The project should be completed within 5 weeks.